2020 Ford F-Series Super Duty - What's New? If you love or just need a heavy-duty truck for work or play, the odds are good you've driven a Ford at some point. Ford trucks simply do everything better and for that matter… bigger! It comes as no surprise to Southern California Ford Dealers that the upcoming 2020 Ford F-Series Super Duty will be packed with next-level power, capability, and technology. Though it won't hit showrooms until later in the fall, we thought this would be a perfect time to take a first look at the heavy-duty truck that is sure to make some serious waves across Southern California. injection system with all-new injectors that will help deliver more power and torque while controlling noise levels and optimizing combustion. The big news is the addition of the all-new Ford-designed and Ford-built 7.3-liter V8 engine. This new engine, which will come with all-new cam-in-block, overhead valve architecture, will be the most powerful gas V8 in its class, and rumor has it, it could even exceed 1,000 lb.-ft. of torque. No matter which engine you chose, you'll be able to pair it with the all-new 10-speed TorqShift automatic transmission. This transmission promises a wider gear ratio span that will be able to handle even the most challenging towing conditions. It will also come with selectable drive modes including normal, tow/haul, slippery, and deep sand and snow. Speaking of towing, initial reports say that the 2020 Ford F-Series Super Duty will offer its highest-ever conventional, gooseneck, and fifth-wheel towing and payload ratings ever. When it comes to style, the 2020 Ford F-Series Super Duty will not disappoint. You'll be the envy of all your friends and co-workers thanks to the uniquely designed high-airflow grille, LED headlamps, and a bold new bumper. 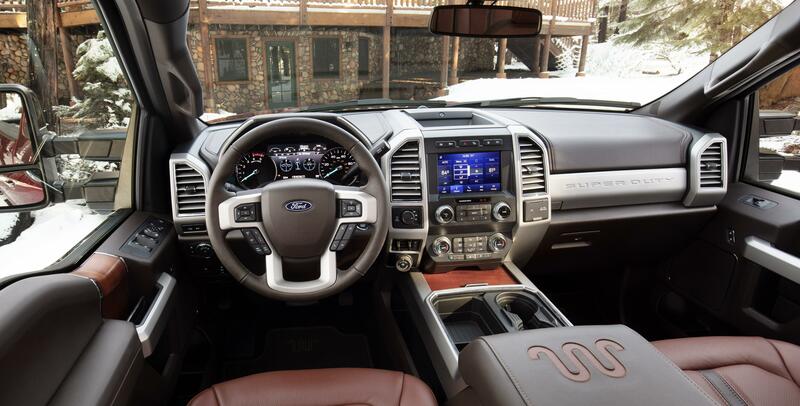 The interior of the 2020 Ford F-Series Super Duty will feature available Onyx Argento wood, leather-wrapped instrument panel topper, wrapped door armrests, and Miko suede headliner. While we don’t have all the final specs about the 2020 Ford F-Series Super Duty, we believe that it will be at the top of the 2020 heavy-duty truck class. 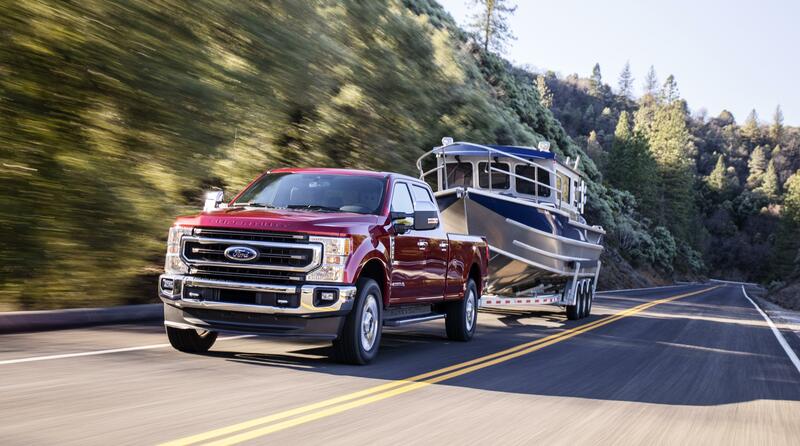 To learn more about what to expect from this or any of the other 2020 Ford trucks, feel free to contact your local Southern California Ford Dealers.